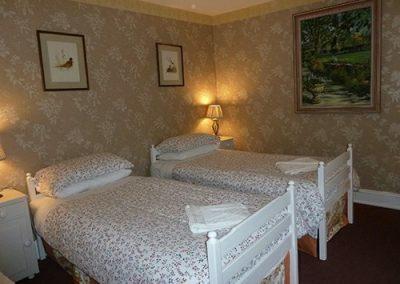 Tullochard House offers comfortable accommodation in well-proportioned rooms for up to 8 guests. 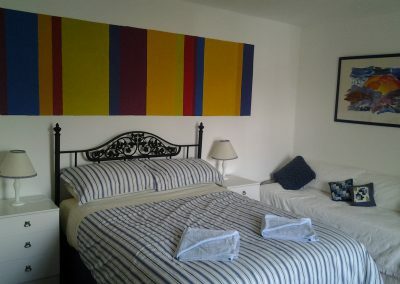 All four rooms are individually decorated, with original paintings and patchwork wall hangings. 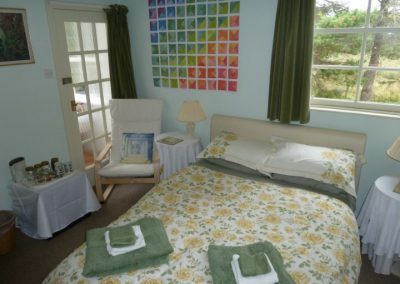 We have two double en-suite rooms, “Jade” is on the ground floor and “Opal” on the first floor. The other two rooms “Tanzanite” a double room and “Coral” a twin room, share the exclusive use of the toilet/shower room. 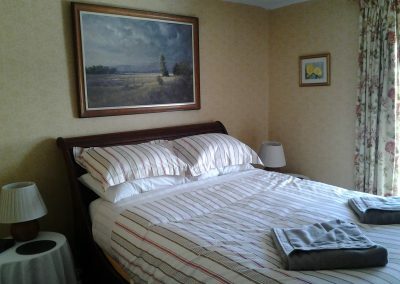 All bedrooms each take a maximum of 2 people (either 2 adults or 1 adult and 1 child). We do not have any familily rooms or facilities (Cots / Highchairs) for babys under 2 years old. If you would like to bring a baby please contact us – you will need to bring a travel cot with you as babys are not allowed to share the main beds.